Some grapes are versatile, making good wine in a range of styles, and some grapes seem to have just one thing they do well; the Prosecco grape is only at its best when it is made into sparkling wine, and only when grown around the villages of Conegliano and Valdobbiadene, in the hills north-west of Venice. When it is grown and made correctly it has a pear-like aroma and flavor that is delightful, the perfect start to a meal. Unfortunately most Prosecco is made by large, industrial-scale producers who buy base wine and then perform only the secondary (sparkling) fermentation themselves, often with mediocre results. By contrast, the Bronca sisters grow their own fruit in steep hillside vineyards, controlling the entire process themselves. Low yields and hillside-grown fruit ensure that the wine has good concentration and acidity. This acidity is necessary to balance the traditional ' Extra-Dry' level of sweetness. (Extra-Dry is slightly less dry than Brut; both terms are used to describe the amount of sweetness in sparkling wines. 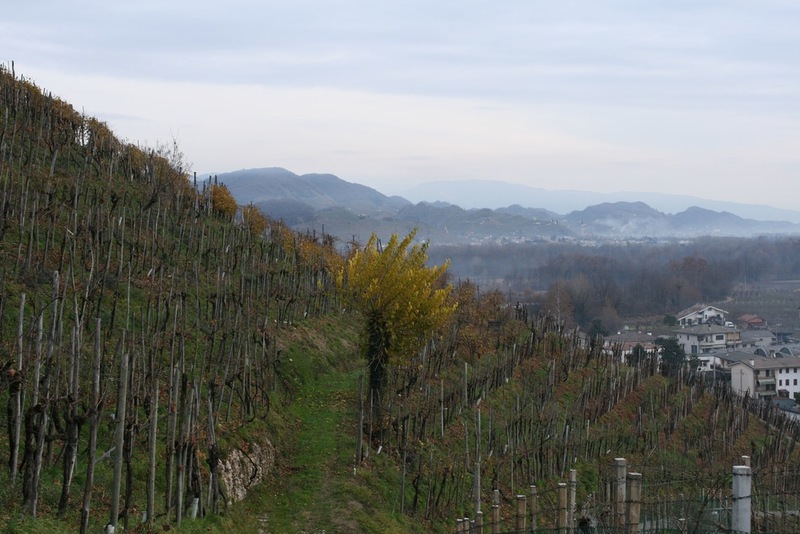 The Prosecco drunk in Italy is almost always Extra-Dry; the pear notes only emerge when the wine is not bone-dry, which is why Brut isn’t as good and is mostly exported. I have made a direct comparison between Brut and Extra-Dry batches of the same base-wine a number of times, at Bronca and elsewhere, and I have preferred the Extra-Dry every time. This is of course the opposite of the way sweetness works in Champagne, where the best wines are almost invariably Brut and Extra-Dry is reserved for supermarket cuvées.) This small estate is managed by Antonella and Ersiliana,the sisters ('Sorelle') Bronca, and their families. This organically grown, estate-bottled sparkling wine is made primarily of the Prosecco grape with small amounts of the traditional indigenous varieties Perera, Verdiso and Bianchetta. The 'bulk process,' a secondary fermentation in a pressurized tank rather than in the individual bottle, is used. The vinification is unusual for Prosecco; instead of two seperate fermentations, (grape juice to still wine, then still wine to sparkling wine), the Bronca Sister’s Prosecco grapes are pressed and the juice is held at very low temperatures until it is ready to be made into sparkling wine (done periodically throughout the year to maintain the freshest possible stock) upon which time the must is put into a special fermenter and fermented directly to sparkling wine. This more costly single fermentation process retains more of the classic pear aroma that makes Prosecco distinctive. No sugar is added, all of the sweetness comes from the must. A number of batches are produced during the year to ensure freshness, and we import the wine frequently for the same reason. Prosecco is best drunk as fresh as possible. Notes: pale straw color with a hint of green; very distinctive classic Prosecco aroma of fresh-cut pear; the pear/apple fruit notes continue on the palate, with the Extra Dry level of sweetness very well balanced by fresh acidity. I drink Sorelle Bronca with some olives and a slice of salami while I am deciding what to make for dinner, but it would also be good with a light lunch or just by itself, unlike most Italian wines. The Bronca Sisters' best vineyard is called Particella 68, as is their reserve wine obtained from that vineyard. 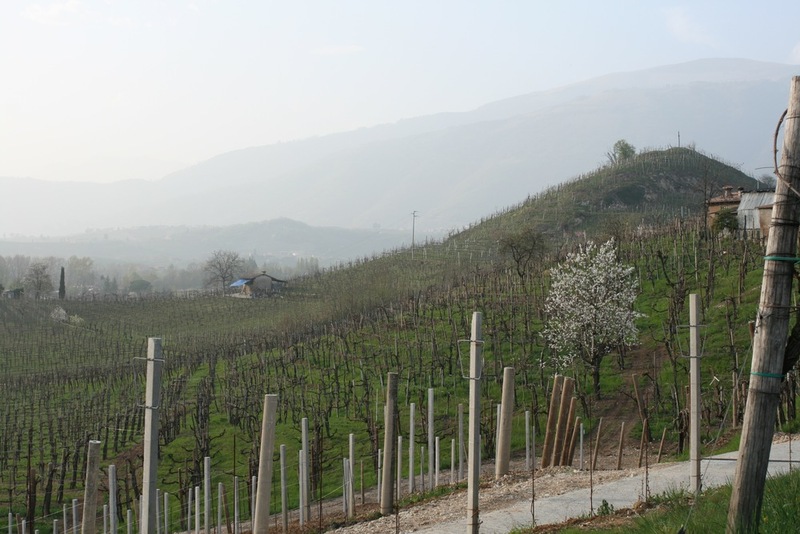 The site is perhaps 500 yards from the edge of the Cartizze boundary, the most prized growing area in the Prosecco zone; the wine is made from Prosecco grapes with very small amounts of the other traditional indigenous varieties (Verdisio, Bianchetta, and Perera). In my opinion this wine compares very favorably with the best Cartizze in style and in quality, although it is less expensive. The vinification is unusual for Prosecco; instead of two seperate fermentations, (grape juice to still wine, then still wine to sparkling wine), the Bronca Sister’s Prosecco grapes are pressed and the juice is held at very low temperatures until it is ready to be made into sparkling wine (done periodically throughout the year to maintain the freshest possible stock) upon which time the must is put into a special fermenter and fermented directly to sparkling wine. This more costly single fermentation process retains more of the classic pear aroma that makes Prosecco distinctive, and the excellent acidity of the site balances very well with the Extra Dry level of sweetness. No sugar is added, all of the sweetness comes from the must. Notes: pale straw color with a hint of green; very distinctive classic Prosecco aroma of fresh-cut pear; the pear/apple fruit notes continue on the palate, with the classic Extra Dry level of sweetness very well balanced by fresh acidity. The '68' is similar in aroma and flavor to the regular bottling, but with the volume turned up. “For me, the most exciting estate of my short tour was the one run by the Sorelle Bronca. The Bronca sisters, Antonella and Ersiliana, established their estate 20 years ago, to specialize in sparkling Prosecco from their 20 hectares of vineyard of old-vine Prosecco. Total production is 200,000 bottles annually....” Read more here. 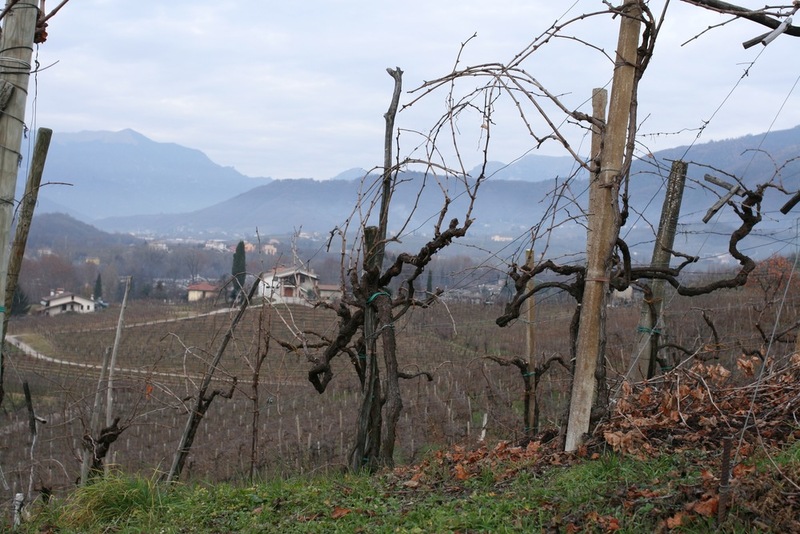 Organic Farming: The below photos depict Sorelle Bronca's organic vineyard on the left and their neighbor's vineyard that is not being farmed organically on the right.